Nashville, Tenn. (March 22, 2013) – The wait is over! 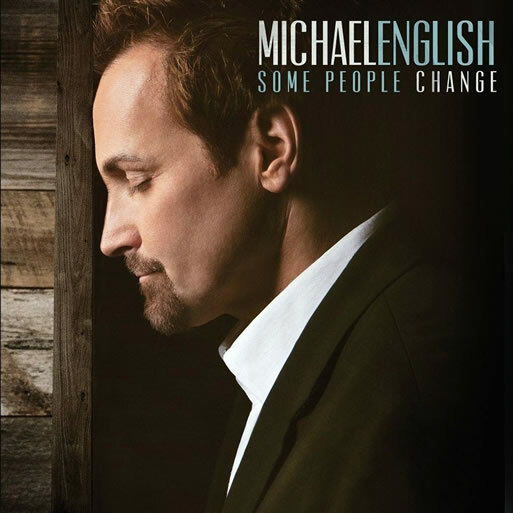 Acclaimed vocalist, Michael English, is set to release his new release, Some People Change, on March 26, 2013. The highly anticipated project is Michael’s first studio recording in six years and is being released by CURB Records. Although this is his first solo recording in several years, the gifted singer has hardly been resting. Michael has kept an extremely busy touring and recording schedule as a member of the Grammy® award-winning Gaither Vocal Band. Michael’s penetrating, power-packed vocals are at the forefront on this new release as he is featured on brand new songs, “That Great Day,” “Waking Up The Dawn,” the current single “Stubborn,” time-tested classics such as “I’d Rather Have Jesus,” and a brand-new version of Michael’s hit song, “In Christ Alone.” A bonus track, “I’m So Lonesome I Could Cry,” is included from the film “The Last Ride,” about the life of Hank Williams. Masterfully produced by long-time friend, Jay DeMarcus, Michael knew Jay was the perfect fit for this recording. “No one knows my voice better than Jay,” Michael affirms. The two had previously worked together on Gospel (1998), and even a hint of Michael’s native North Carolina comes to the fore with subtle, yet distinct country flair. Some People Change is currently available for pre-orders on MichaelEnglishMusic.com and all orders from the website will be autographed by Michael. Some People Change releases March 26 and will be available on iTunes, Amazon, all digital retailers as well as physical retail outlets such as Lifeway, Walmart and others.